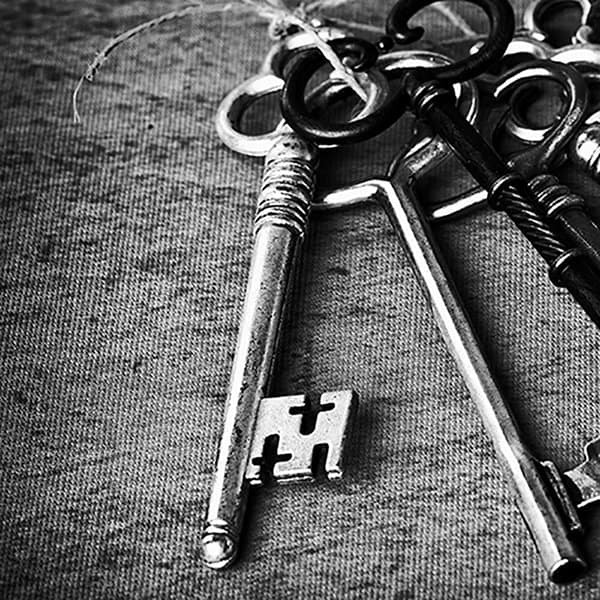 Escape Rooms are a type of physical adventure game in which a group of people are locked in a room and have to solve a series of puzzles, find clues, and escape the room within a set time limit. Escape Room facilities can be found all over the world. While ‘Escape Room’ is the most widely used term for these types of games, they have also been called Adventure Rooms and Exit Games. The mission of the group is not always to escape a locked room; sometimes it’s to get into a secret box or to solve a mystery in a certain amount of time. This is a great team-building program. It’s also a program that will require the purchase of supplies/equipment. While you could design a really elaborate set-up that can cost thousands of dollars, you can also do it on the cheap for a couple of hundred dollars or less, and we’ll explore these options in the ebook. 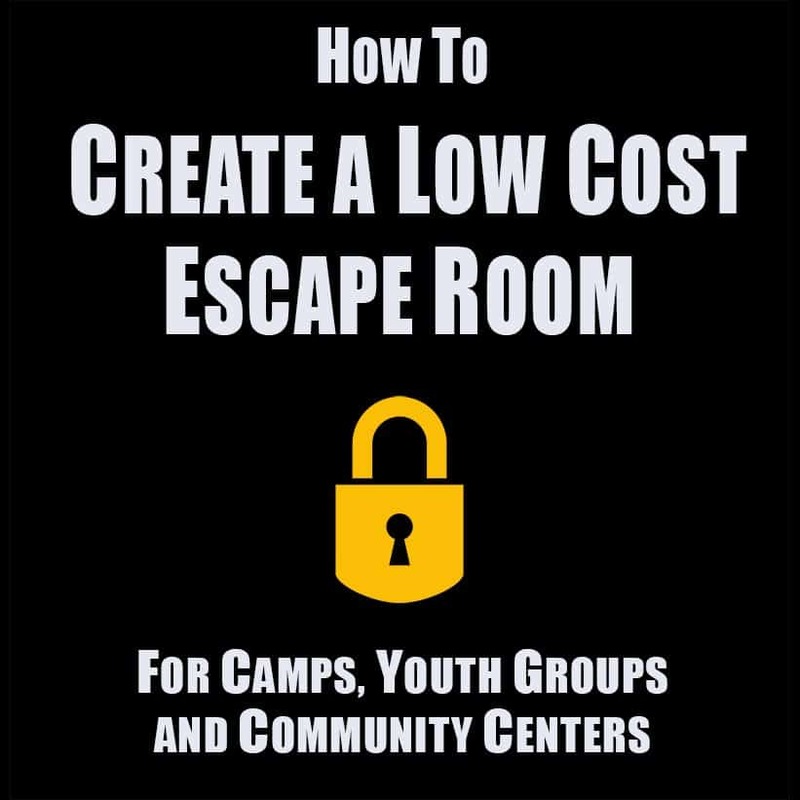 This is the only book that tackles the idea of escape rooms¬†for camps. If your team building programs are becoming a little stale, this my be what you’re looking for. What is your time worth? This ebook will save you many, many hours creating a new type of team building program. This is a book in PDF format. All you need os Adobe Acrobat to view it, which is standard in nearly all computers these days. A link will be emailed to you when the ebook is ready. This resource was great. Until i wanted to run my own escape room for my staff team party (about 12 people), I didn’t realize just how much effort and attention it requires. I was so grateful to have this resource help me through the process. I adapted a few things to fit my physical space and theme, but I honestly wouldn’t have been able to pull it off without the guide that walked through the set up and process for things. Thanks for putting this together and sharing it with us all! Looking forward to testing out these ideas. The level of detail will make it so I can grab the basics and adapt to various programs. Thanks! A comprehensive 62 page guide with plenty of design details and an out of the box plan as well. 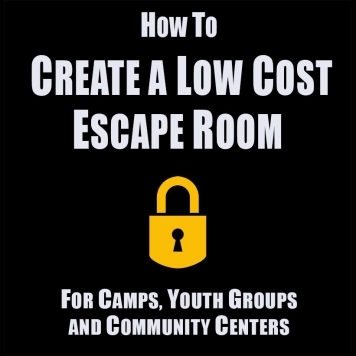 I feel like it is a good resource for planning your own escape game or running their escape scenario. I am confident that I can run this game with ease. > What is an escape room? > “The Camp Director Has Been Kidnapped” game with game play, props (a list of easy to acquire items), the set-up, and print-outs for the game. This would be an introduction to escape rooms, but it is not meant as a plan for a commercial level game.